Problem with you hi-pressure pumps? Solve them now! 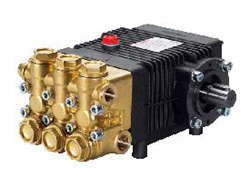 Hawk® pumps are designed and built for the pumping of clean fresh water or water with a low percentage of commonly used detergents, up to a temperature of 65°C. 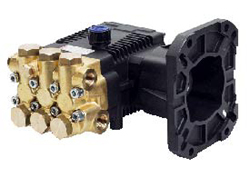 Hawk® pumps designed with an AISI 316 stainless steel manifold housing should be used for applications with temperatures up to 85°C, for saltwater applications, for reverse osmosis, and for use in the food, chemical and pharmaceutical industries. Hawk® pumps were not designed for pumping potentially hazardous liquids (explosive, toxic and flammable liquids). Contact our technical staff if the application involves the use of harsh chemicals and in case of doubt with regard to any of the points below. To safeguard proper pump operation, the pump should preferably be fed (maximum pressure 8 bar), otherwise it should be located under the water head or at the same level as the tank. Poor supply can cause serious damage to the pump, such as priming problems, vibration, noise and short seal life. Hawk® pumps are delivered with their first oil fill and are fitted with a sealed cap to prevent oil spilling during transport. Before starting to use the pump for the first time, do not forget to replace the sealed cap with the cap with the dipstick and bleed.